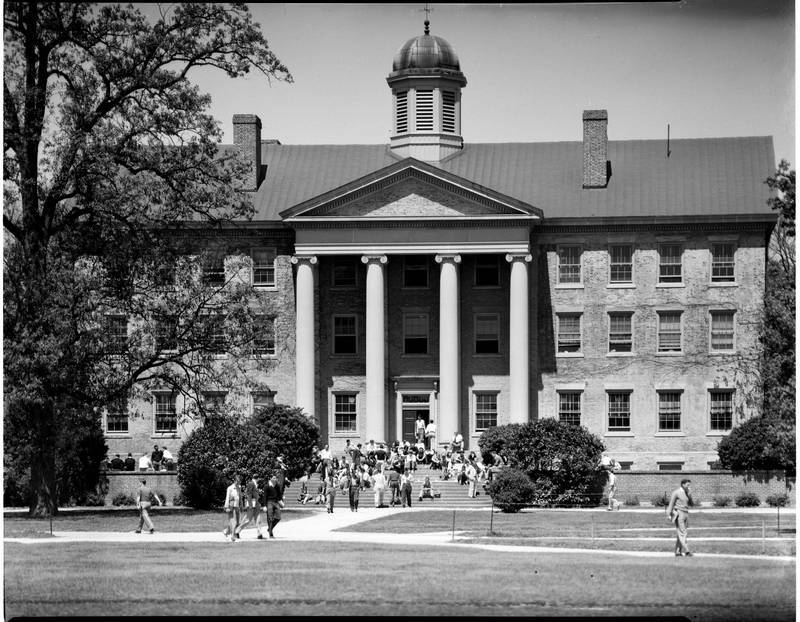 Once expansion to the south began, the university decided that South Building should have a more authoritative presence at the top of Polk Place. Nash remodeled its exterior into an impressive example of collegiate Georgian architecture. He enlarged its windows and substituted two large fake chimneys for its eight smaller ones. His most important addition was a grand south portico with four Ionic columns.